To make the visitor’s visit easier and their hassle free entry into different Halls during PPI 2019, IPAMA has started “Online Visitor Registration Portal” at 3.00 PM on 7th September, 2018 in the presence of President, IPAMA, Office bearers, Governing Council Members, special invitees and representatives of various periodicals, magazines, newspapers etc. Detailed discussions were also held with different participants relating to the registration process and the benefits which the business visitors will have during the exhibition period. 1. No entry fee for online registered visitor. 2. E-badge is valid for entry, subject to photo ID card in original. 3. 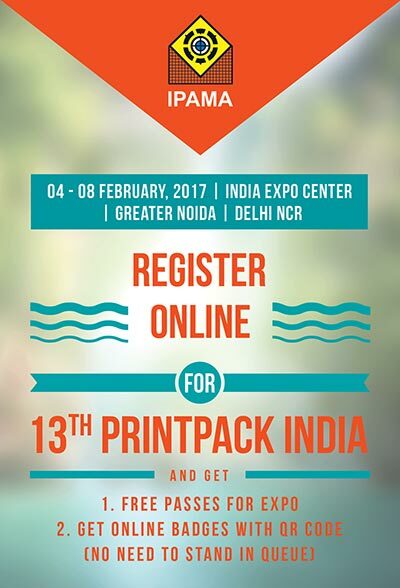 No need to go to registration desk for printout. 4. One minute process to get the badge. 5. 40 gifts per day on the basis of Lucky draws for online registered visitor who will attend the event.